Welcome to ibis Jakarta Sentral Cawang, the only AccorHotels in East Jakarta. Our hotel is a great choice to cater your business needs and your family staycation. Our team can't wait to make you feel welcome! 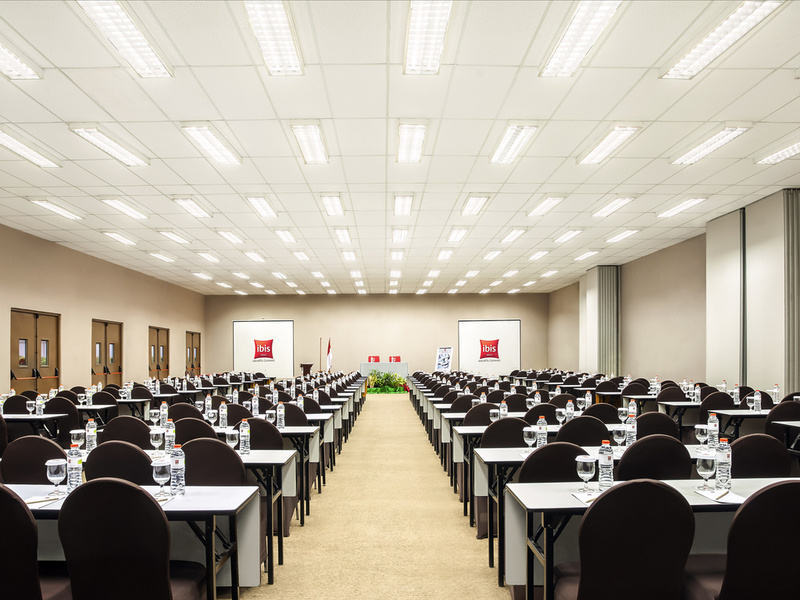 Located at Cawang Intersection, ibis Jakarta Sentral Cawang provides convenient access to Jakarta CBD areas, Bekasi industrial area, 7 minutes away by car from Halim Perdanakusuma Airport and 40 minutes from Soekarno Hatta International Airport. The 240 modern rooms feature the new ibis bedding concept, meeting rooms that are ready to cater your business and social events, ibis Kitchen Restaurant serves delightful cuisine and swimming pool & spa to complete your staying experience. 7 minutes' drive to Halim Perdana Kusuma Airport. 20 minutes to Taman Mini Indonesian theme park as well as Ancol Beach Theme Park. A bit to eat, something to drink... Not so hungry ! A space to get relax and enjoy our beverages and finger snacks. شكرا لك على زيارتك في إيبيس جاكرتا كاوانغ. أولا وقبل كل شيء، نود الاعتذار عن السخط أثناء إقامتك في إيبيس جاكرتا كاوانغ. نحن دائما وضع رضا الضيوف إلى الأمام، ممتن جدا للتعليقات التي السيد / السيدة تعطي. وهذا سوف يحفزنا على مواصلة تحسين خدماتنا. مرة أخرى، اعتذر عن الإزعاج، ونحن نتطلع إلى الترحيب بك مرة أخرى وتجعلك تعتقد في خدمتنا.